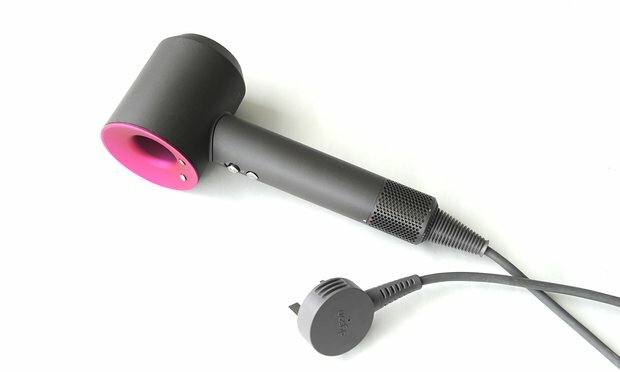 Post Tagged with: "hair dryer"
Something completely new! The gadget dries your strands in no time and protects them from heat. What is it? It’s Dyson Supersonic. Every hair maniac would love to have it. Supersonic dryer looks totally different from classic devices we all have at home. Dyson gadget doesn’t have a traditional motor or parts that heat up the air. The motor is in the handle, which makes the tool light and easy to use. The air is drawn in and heated inside the designer nozzle. A special microprocessor measures the temperature 20 times a second. In comparison with traditional hairstyling tools, Supersonic is very quiet. The dryer is equipped with temperature control which provides hair with protection from damage. It also offers ionisation – producing negative ions which reduce static. The dryer comes with three attachments which allow for creating various hairstyles and give smoothness and shine; there is also a storage case. How to use Dyson Supersonic? Detangle damp strands and apply a small amount of a hair mousse. If you want to style the hair, choose one of the attachments. Hold the dryer six inches away from your head. The drying lasts up to 20 minutes. Apply a cosmetic oil or spray silk for better shine. Dyson Supersonic is the choice of greatest hairstylists (e.g. Jen Atkin), Jessica Alba and Katy Perry. Dyson Supersonic will come in handy especially when you are in a hurry and your hair needs immediate washing. The device is very light and you can walk with it without feeling any weight. The cord is almost three-metre long. Drying hair with Dyson Supersonic is a real pleasure!